The Christian church has come up with various formulas to “get a person saved” such as altar calls and saying the sinners prayer. There are no examples these kinds of things in the Bible. Instead, the Scriptures give us general guidelines and examples to follow. There are no formulas. What follows is a list of examples from the apostolic writers of how people were saved in early church era. For example, in Acts 2:14–37 we read that Peter preached the gospel and that the hearers were pricked in their hearts (verse 37). This resulted in a spontaneous, Holy Spirit-led response on the part of the hearers of the gospel or good news message of salvation. After this, the people were baptized for the remission of sins in the name of Yeshua and subsequently received the Holy Spirit (verse 38). All this happened on the same day (verse 41). When directed by the Holy Spirit, spiritual transformations can happen quickly! Exodus 24:1, Worship you far off. This verse clearly tells us that man can approach to worship YHVH only on the basis of the blood of the Passover lamb, but not on the basis of his own works of the law, since YHVH had not yet given the full Torah to the Israelites (that would occur later at Mount Sinai in Exod 24:12). 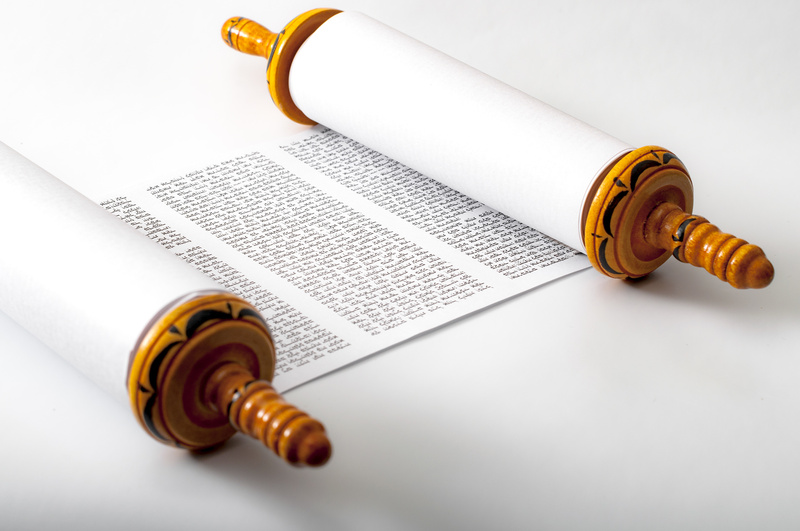 That is not to say that the works of the Torah are not essential in one’s spiritual walk. Rather, they simply are not the basis of our salvation, but rather a guide to lead us in the paths of righteousness once we are saved, and to keep us on the path of righteousness until we die (Eph 2:8–10). Furthermore, Yeshua taught that our works will determine our level of rewards in his kingdom (Matt 5:19), though not our initial salvation. Some have misunderstood Paul’s teachings to mean that since we are not saved by keeping the law, we therefore no longer need to keep the law. This is not what Paul taught! In numerous places in Paul’s writings, he upheld the validity of the Torah in the life of the redeemed believer, and even confessed that he was obedient to the law in his own life. Your good works will not save you! Mark 12:34, You are not far from the kingdom. Yeshua makes this complimentary statement to the scribe who had correctly and succinctly summarized the message of the Torah (both its letter and spirit intent) in verses 32–33. What was the one thing that was keeping this scribe from being in the kingdom? It was doubtless the same thing that kept the rich young ruler from obtaining the eternal life that he sought (Matt 19:16). After having obeyed the Torah the best that he could, the young ruler still needed to surrender all to Yeshua the Messiah, and to follow him unreservedly (Matt 19:18–22). Not only is it difficult for humans to surrender all to the Master, and then to follow him wherever he leads, but after having followed the Torah the best we can, we must still humbly recognize that without the righteousness of Yeshua in the equation, our best efforts at Torah-obedience will still miss the mark of YHVH Elohim’s acceptable standard of righteousness, thus leaving us maybe not far from the kingdom, but definitely not in the kingdom of Elohim. Matthew 13:14, Hearing you will hear. 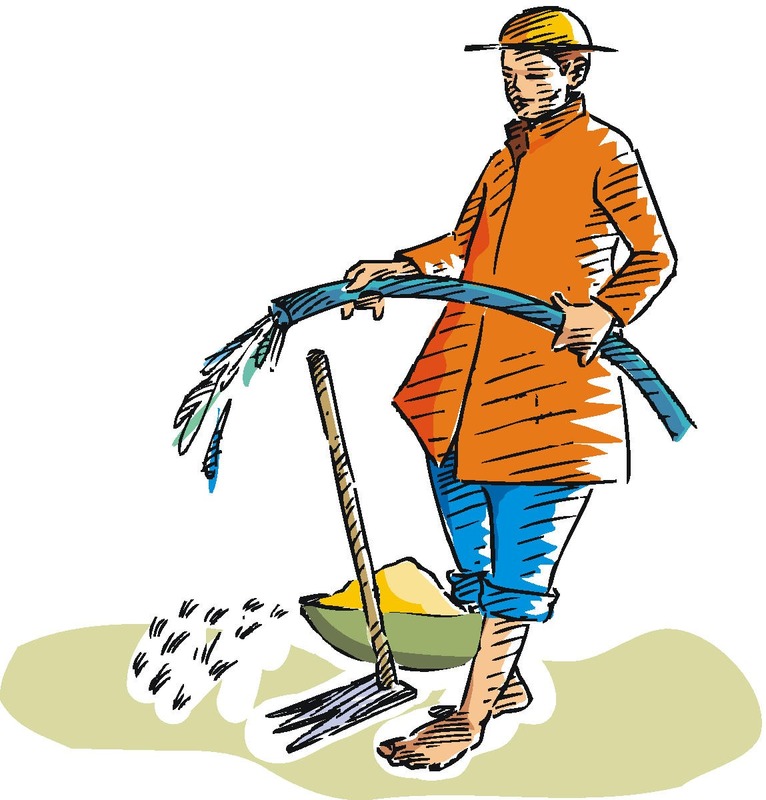 In Yeshua’s Parable of the Sower (Matt 13:3–23), we are confronted with the difficult issue about who will receive the gospel message and thus enter into the kingdom of heaven and who will not. Put into modern vernacular, Yeshua is discussing who will receive YHVH’s free gift of salvation resulting in immortality and who and who will die in his sins to perish for eternity. Yeshua’s discussion all started when his disciples asked him why he taught the people using parables. To them, it was as if he were deliberately obscuring the gospel message. A superficial reading of his response in verse 15 to their question may imply not only a lack of impartiality but a brutal selectivity on the part of Elohim when it comes to determining who he will choose to receive the gift of salvation including the gift of immortality. If this is the conclusion one draws from Yeshua’s response, then what he said contradicts other scriptures that indicate Elohim’s unconditional love for the whole world and his desire that all be saved (John 3:16; 1 Tim 2:4; 2 Pet 2:9). The fact is that a thorough reading of this passage shows us another important truth, which in no way impugns the character of Elohim, but instead leaves the onus on man. After giving this parable, Yeshua quotes Isaiah the prophet (Isa 6:9–10), where we learn that it’s up to the individual as to how far they want to go with Elohim spiritually. All humans have eyes and ears to see and hear, but merely seeing or hearing doesn’t equate with understanding or perceiving. Sadly, many people want to dabble in religion, or to have a religious experience, but they don’t want to change their lives spiritually, to give up their sin, and then to submit to the will of Elohim by adhering to his commandments as revealed in his written Word, the Bible. This is because they have willfully hardened their hearts and closed their eyes (Matt 13:15). YHVH isn’t going to cram “religion,” so to speak, down their throats. For example, in the Gospel record, we read that many people followed Yeshua out of curiosity and in hopes of being healed or getting fed physically or seeing a miracle (John 6:26; Matt 12:39), but when he demanded obedience, many turned away from following him (John 6:66). The same is true of people today. Human nature, the condition of man’s heart, remains the same down through the ages. Though Yeshua calls many to follow him, few actually do (Matt 20:16; 22:14). Of the thousands who flocked to see Yeshua during his earthly ministry, only about 120 people remained faithful to him (Acts 1:15). Of those who are superficially converted but turn away, Yeshua, elsewhere likens such a person to a house that gets cleaned and swept spiritually of evil spirits, but if that person doesn’t guard his house to keep it clean, the evil spirits will come back in greater force than before to repossess the house. Yeshua exclaimed that the latter state of the man is worse than his first state (Matt 12:43–45). 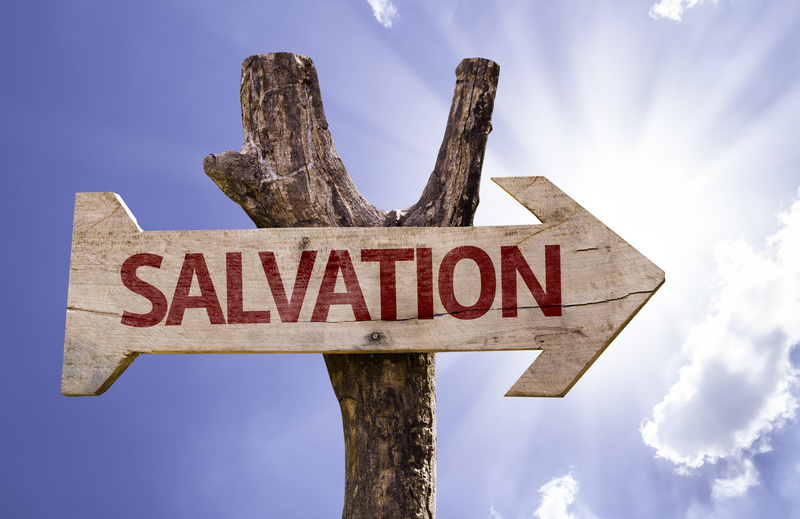 It is perhaps for these reasons that, though Yeshua clearly desires all to be saved in a general sense, he only wants those who will be serious about their spiritual walk actually to be saved. This lessens the possibility of those who are less serious from making spiritual commitments, getting saved, then falling away into a worse spiritual state than before. Yeshua values quality over quantity when it comes to his disciples. What’s more, he spoke the mysteries of the kingdom in parables, so that those who were serious would be forced to take the step of faith necessary to gain understanding. Those who are unwilling to push forward in the pursuit of truth aren’t worthy to have the mysteries of the kingdom entrusted to them. It would be like casting pearls before swine or giving that which is holy to the dogs, as Yeshua elsewhere states (Matt 7:6). Again, many are called and few are chosen. Genesis 6–8, Noah’s flood provides allegorical insights relating to end-times prophecy. In Matthew 24:37, Yeshua compares the end times to the days of Noah. The story of Noah has allegorical implications that give hints about end-times prophecy. In 1 Peter 3:18–22, we learn that the story of Noah is also a picture of salvation and water baptism. Noah is a prophetic antetype of Yeshua. To start with, Noah building the ark is a prophetic picture of the redeemed believer working out his own salvation (Phil 2:12), yet while doing so according to YHVH’s exact plans or specifications (e.g. repentance from sin, faith in Yeshua, baptism for the remission of sins, and faithful obedience to YHVH’s commandments). Noah builds an ark of safety from Elohim’s wrath or judgments against sinful man. The ark is a metaphorical picture of the believer’s salvation, and Noah is a spiritual picture of Yeshua. The flood is also a picture of water baptism for the remission of sins, which ceremonially pictures the death of the old sinful man, and the birth of the new spiritual man (Rom 6:3–6). Water can both clean one of dirt and kill. The same water cleanses the repentant sinner but kills the unrepentant sinner. 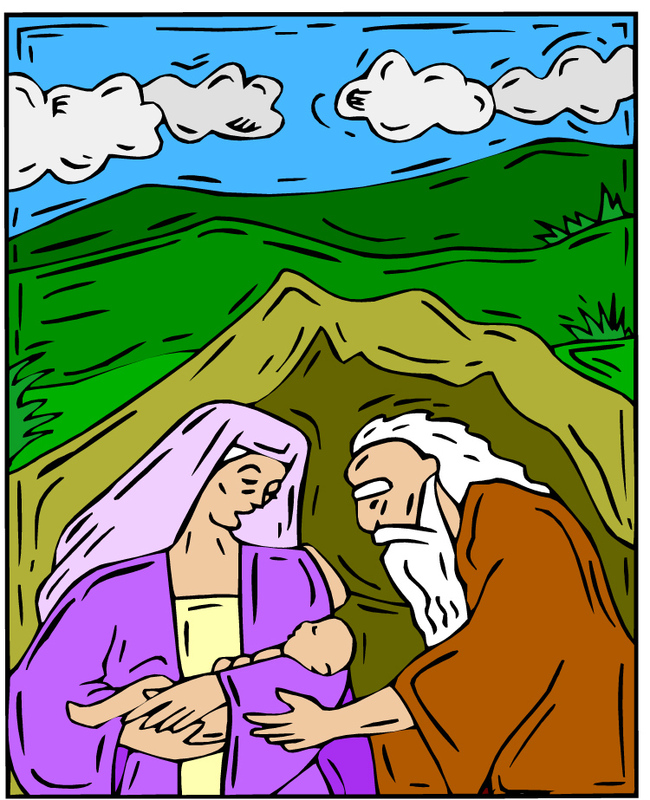 Unregenerated sinful or carnal men perished in the floodwaters in Noah’s day, while the new, redeemed man (as pictured by Noah and his family) who had found grace in the sight of Elohim (Gen 6:8) found refuge on the ark. While the flood is a judgment against sinful man who has violated the Torah-laws or divine instructions of YHVH, the ark is a picture of the grace that YHVH offers to those who will repent of their sins (i.e. Torahlessness, see 1 John 3:4) and will turn to him through Yeshua. Since Noah found grace in the eyes of YHVH because he was “perfect in his generations” (Gen 6:8, 9), he was spared from YHVH’s judgments against sin (or the wages of sin which is death, Rom 6:23). YHVH offers the same gift of grace to all men today (2 Pet 3:9). The ark had three levels indicating the three levels of salvation rewards that YHVH offers to his saints, which is analogous to the three sections in the Tabernacle of Moses. The highest level where Noah lived is the section of the ark that was the closest to heaven, where YHVH abides, and is a picture of the kadosh hakadoshim (the holy of holies, also known as the d’veer meaning “oracle”), which was the place in the tabernacle from which Elohim spoke to the Moses and the Israelites. It is in that highest place that one hears Elohim’s instructions directly from him. The unclean animals are a picture of lost and scattered Israelites returning to YHVH in the end times from the beast or heathen nations to where they have been scattered and where they have become like beasts of the field (Hos 2:16–19 cp. Acts 10:12, 28). In Peter’s vision of the sheet (Acts 10:12, 28), the Gentiles are likened to unclean animals that YHVH has redeemed (Acts 10:12, 28 cp. with the great and innumerable multitude of Rev 7:9, the lukewarm believers of Laodicea in Rev 3:14–21, the thief on the cross, and the foolish virgins in Yeshua’s parable in Matt 25:1–13). The clean animals may represent the 144,000 of Revelation 7 and 14, and who are those saints who have remained faithful in keeping YHVH’s Torah commandments, while at the same time maintaining faith in Yeshua the Messiah (Rev 12:17; 14:12). Noah escaping the wrath of Elohim may be a antetype of the second exodus of end-times Israelites from the nations of the world. As a mixed multitude joined Israel in the exodus from Egypt, so even within Noah’s family there was a mixed multitude containing a spiritual tare; namely, Ham who later fell into sin (Gen 9:22–27) and become the father of the evil Nimrod (Gen 10). Even Yeshua had Judas, a tare, among his select group of disciples, and Yeshua teaches that the tares would coexist with the wheat up until the end times (Matt 13:24–30). The waters that flooded the world gushed up from out of the bowels of the earth and rained down from heaven (Gen 7:11). Water can be a biblical metaphor for the spoken word (e.g. Deut 32:2; Eph 5:26); namely, it represents both the Word of Elohim from above, and the word (philosophies, thoughts, ideas, religions) of man that are counter to the Word of Elohim that have their source from below. In the last days, knowledge shall be increased, the devil shall spew out his mouth words or philosophies like a flood in an effort to spiritually drown the world and even the saints (Rev 12:15; Matt 24:14). Water can also be a judgment against men. YHVH will judge men for their words, philosophies and religions. Those who followed YHVH’s Word from heaven will be spared his wrath, while those who have subscribed to the words or philosophies of men from below will perish or be judged in a sea of men’s words that are often founded on doctrines of demons. Those who feed spiritually from the tree of knowledge (i.e. secular humanism and all the false religions and ideologies that have spawned from it) will die, while those who spiritually feed from the tree of life or the word of Noah (i.e. a prophetic picture Yeshua), the preacher of righteousness (i.e. the Torah, see Ps 119:172 and 2 Pet 2:5) will live. In the last days, the Word of YHVH will judge men, for when Yeshua returns to the earth on his white war stallion, the sword of the word of Elohim will be coming out of his mouth with which he will judge the nations (Rev 19:11–15). It rained 40 days. This is another picture of judgment, since biblically, forty is the number of trials, testing or spiritual refinement. The ark came to “rest” (Heb. nuach meaning “repose, settle down, be quiet”) on the mountains Ararat (Gen 8:4). From there, Noah built an altar and begin to rule the earth. This is a prophetic picture of Yeshua, at his second advent, coming to Zion or the Temple Mount where he will have his temple and will establish his kingdom on earth, and it will be a time of peace on earth. The word Ararat means “the curse is reversed.” The ark came to rest on Ararat during the Feast of Tabernacles or Sukkot. This is a prophetic picture of the saints coming to a place of spiritual rest at the beginning of the Millennium after the judgments of Elohim have been poured out on this earth against sin and the wicked have been destroyed. The dove is a picture of the bride of Yeshua who follows the Spirit of Elohim. The dove coming from the top window of the ark symbolizes the bride of Yeshua coming back to earth from the first heaven to rule with Yeshua on earth. The dove left and came back on the seventh day—the Shabbat. This is a picture of the Millennium or the seventh millennia of man’s existence on earth. Several times in the story of Noah, it is mentioned about the dove finding rest or not finding rest. This is another picture of the Millennium—a time of rest for the saints or the bride of Yeshua (Heb 4:1–10). The raven who feeds on carrion is a metaphor for the devil who feeds off of dead meat, and who is actively trying to kill, steal and destroy (John 10:10) like a ravenous lion (1 Pet 5:8). Satan will be active at the end of the Millennium, as well, when he will be loosed from the pit for a short season from which he will go to incite Gog and Magog to come against Yeshua and the saints in Jerusalem (Rev 20:7–10). Noah’s altar may well be a picture of the third temple (or Ezekiel’s temple, Ezek 40–48). According to Christian commentator Matthew Henry, Noah’s ark was an early Christian metaphor for salvation and YHVH’s delivering his people form evil and judgment against wickedness. We see this allusion in 1 Peter 3:20–22 where the flood is a picture of salvation, deliverance by baptism and the resurrection of Yeshua. The ark was covered with pitch, which is a picture of the redeemed believer being covered by the blood of Yeshua to keep the spiritual ark of his life from sinking under the judgment of Elohim against men’s sin. This truth of this imagery is revealed the Hebrew words for pitch and atonement,which share the same root word. The name Noah means “rest.” Yeshua bids all who are heavy laden and need rest to come to him (Matt 11:28–30). Noah was 600 years old when he went into the ark and the flood came. YHVH’s final judgment against wicked men will be at the end of the 6000 years of men’s rebellious tenure on this earth. Noah didn’t leave the ark and set foot on the earth until YHVH bade him to do so (Gen 8:15). Likewise, Yeshua won’t return to the earth from heaven until the Father permits it. The Noachic Covenant that Elohim made with all humanity (Gen 9:1) is a picture of the New Covenant being ratified in the Millennium with “all Israel.” No non-Israelites (i.e. no sinners) will be permitted to live, but will be burned up in the lake of fire at the end of the Millennium (Rev 20:11–15).